Situated 40 kilometers south of Chengdu and 7 kilometers east of downtown Guanghan, Sanxingdui is 2,500 - 3,000 years old. It is acclaimed as the "source of the Yangtze River civilization." It is a huge group of sites consisting of many ancient cultural relics. 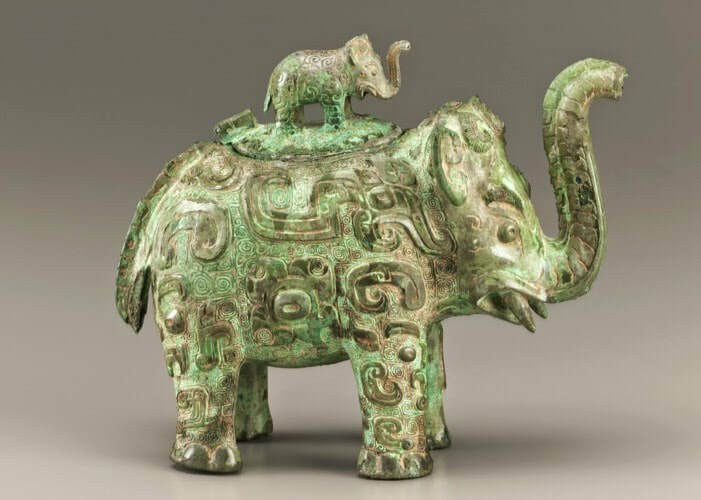 Among the magnificent cultural relics in China, the cultural relics of Sanxingdui are some of the most historical, cultural, artistic and artistic values and the most ornamental cultural relics. Sanxingdui Site offers the well preserved ruins - the East, West, South City Walls and the inner city wall of the Moon Bay. The West City Wall is around 600 meters long, 10 to 30 meters wide on the top, 35 to 50 meters wide at the bottom and 3 to 6 meters tall. The Moon Bay City Wall (月亮湾城墙) is located on the east edge of the Moon Bay Terrace in the north-central part of the Sanxingdui Site. The existing part of the wall is about 650 meters long, about 20 meters on the top and 2.4 to 5 meters tall. Countless bronze, gold, jade, ivory, and stone wares were found in the Sacrificial pits. Nowadays, these precious cultural relics are well-preserved in Sanxingdui Museum. Covering a total area of 33 hectares, Sanxingdui Museum is part of Sanxingdui Site. The museum offers 2 halls with a total area of 12,000 square meters to explore - the First Hall and the Second Hall. Visitors can explore the gold, silver, jade, stone wares in the First Hall such as the golden scepter and the jade blades with the patterns while the bronze wares are on display in the Second Hall. In the first hall, visitors can get acquainted with the agriculture and business, and the wisdom of the people in the Ancient Shu Kingdom. Visitors can explore a 2.62 meters high bronze statue, a 1.38 meters wide bronze mask, and a 3.95 meters tall bronze tree in the Second Hall. In addition, they will know the excavation of Sanxingdui Site on the second floor of the Second Hall. Visitors can visit Sanxingdui at any time during its opening hours around the year. There are a few public buses - Bus 6 and Bus 10 from Guanghan to Sanxingdui. First, visitors need to get to Guanghan first from Chengdu. Therefore, there are only a few options. Rent a vehicle to Sanxingdui from Chengdu or Guanghan. This is the quickest and most direct option. Take the intercity train of Chengdu-Mianyang-Leshan High-Speed Railway (成绵乐城际列车) to the Guanghan North Station (广汉北站). Then, take Bus 10 or Bus 10 to the Stop of Sanxingdui Museum (三星堆博物馆站). Take the shuttle bus from the Wuhouci Temple(武侯祠) at 11:30 or from the Chengdu Panda Research Base(成都熊猫基地) at 12:30 to the site. Opening hours: 08:30 - 18:00 for the first hall; 08:30 - 18:30 for the second hall. The tickets are not issued from 17:00. The pits and Sanxingdui sites are open to the public. Please bring your passports with you when getting the tickets. The museum offers charged English interpretation service. Interested in visiting Sanxing Dui on a Tour? Wendy Wei Tours offers a variety of different packaged tours as well as custom tours including Sanxing Dui, among other attractions and destinations. To find out more, please visit our Tours page or Contact Us directly to find out more.